I'm not much of a history buff. I've read, studied and watched documentaries about what transpired in the country during WWII but it never really sparked much curiosity in me. 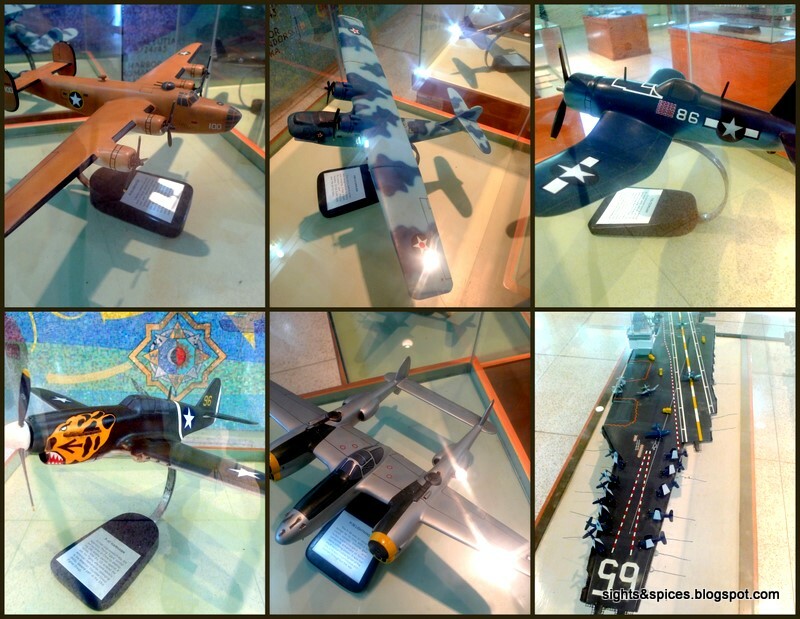 But this all changed when I got to visit Corregidor, an island filled with so much stories and history. I've even been here twice. One can choose between a day tour or an overnight stay at the island. The adventure starts with a ferry ride from the CCP complex port area. The comfortable air-conditioned ferry ride took around an hour to reach the island. As soon we reached the island, we were asked to board our respective jeeps to begin the day tour. The jeeps would serve as our means of getting around the island. Each group was accompanied by a very knowledgeable tour guide. I'm not going to divulge much about the stories, I feel that it is better for one to hear it for themselves. 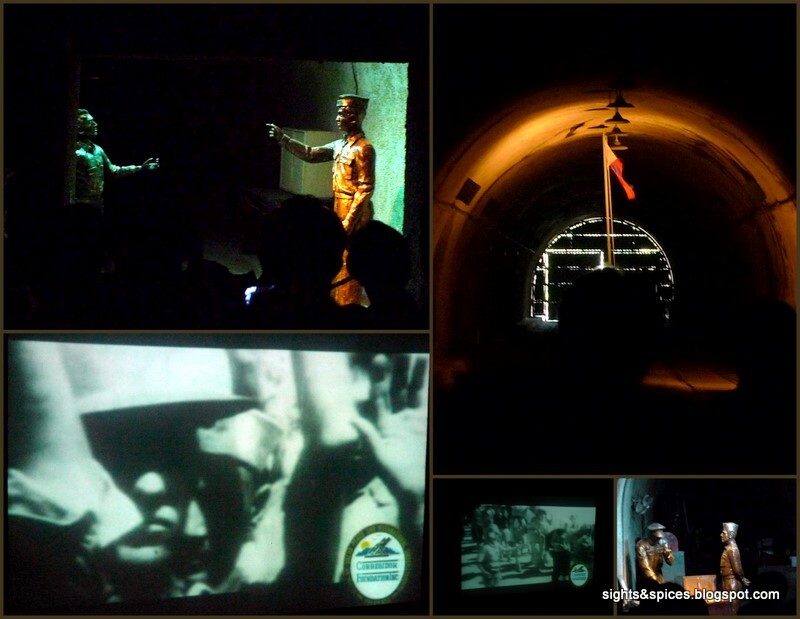 The first site we visited was the Malinta Tunnel, the tunnel served as the bomb proof storage and bunkers of the Filipinos and Americans during the war. We had to pay a minimal entrance fee to watch the light and sound show in the main tunnel. The light and sound show featured a brief history of what happened in the Philippines during WWII. 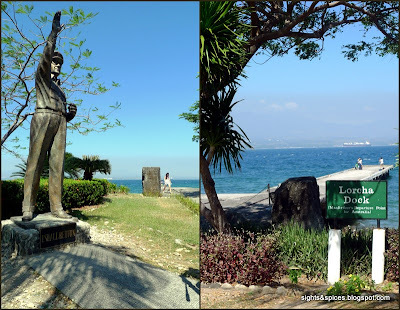 The Lorcha Dock is were the one of the most notable character during WWII, General Douglas MacArthur rode a boat to go to Mindanao so that he can board a plane to go to Australia. 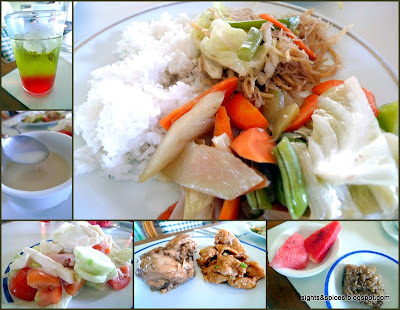 The day tour includes a buffet lunch at Corregidor Inn. The food tasted ok, simple and filling. I would strongly suggest to get a table at the balcony so one can enjoy the view and breeze while eating. After lunch, we headed to the Japanese Memorial Garden also called The Japanese Garden of Peace. The Garden was built in memory of the Japanese soldiers who died in the war. The guide told us that a lot of the Japanese died by crashing their fighter planes in the island. A shrine of the Goddess of Mercy was erected. Around the area, there are also remnants of old artillery canons. 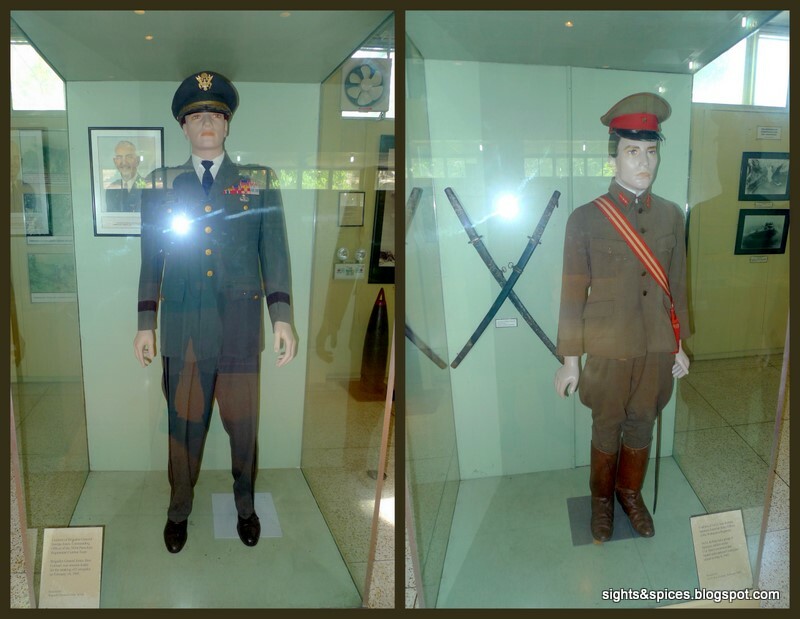 At the Manuel Quezon Memorial Park, there were different etched bronze plates depicting the different revolutions that happened in the past and a hall with old pictures of Pres. Quezon. I particularly liked this piece, a bronze sculpture of a Filipino revolutionary with the Philippine flag waving behind and marble plate etched with the words.."Dedicated to the Filipinos who knows how to die for love of freedom and liberty." I can still clearly remember the first time I saw the ruins of the Middleside Barracks, my jaws dropped and my eyes widen as I caught first glimpse of it. The long stretch of concrete pillars and slabs was an amazing site to behold. The Battery Way houses different heavy duty canons. These canons played an integral part during the war since it brought the most destruction to the Japanese forces who were landing in Bataan. Near Battery Way was Battery Hearn. If I remember it right, the guide told us that it was one of the biggest if not the biggest canon found on the island. The mortar shell it fires can reach cities in the metro manila area. On our way to the Pacific War Memorial, our jeep passed by the ruins of the Top Side Barracks and the old movie house on the island, Cine Corregidor. The Pacific War Memorial was built by the US government to honor the Filipino and American Soldiers. A dome was built with a hole in the center, a ray of light shines in through the hole to the altar beneath. I enjoyed looking at the memorabilia found inside the Pacific War Memorial Museum. There were numerous interesting stuff to look at. The last stop for the day tour was at the Corregidor Lighthouse. This is one of the oldest landmarks in Corregidor, built in the mid 1800's. Guests who got the day tour rode the ferry back to CCP but not for me. We made our way back to Corregidor Inn to refresh a little as more adventure awaits. I strongly suggest for guests to spend a night here so that they'll be able to experience and learn more about Corregidor. The rooms looked old but it was still clean and comfortable. After washing up and resting a little, we decided to check out two new activities which were added a few years back. It wasn't present during my first visit. The Zip Line was pretty short but still was fun. I enjoyed riding the ATV around the man-made track. We made our way back to the inn and waited for the jeep to pick us up to begin our night adventure. First up was to view the sunset at an area called the Battery Grubs. There was also a huge canon inside but the barrel was taken off. My title picture on top was also taken here on this same spot. The sunset wasn't as spectacular compare to my first visit due to the lack of clouds but still it was pretty to look at. As the whole place gets darker and darker, the guide told us that we were off to the Hospital Ruins to go ghost hunting. With the moon and our flashlights to serve as our only light source, I got to admit it was kind of creepy going around and hearing stories about the place. As the last destination for the day, we went back to Malinta Tunnel to take the Night Lateral Tour. This time around we went inside some of the hallways and alleyways. The underground tunnel was huge, it was like a mini city down there. In some areas, there were remnants of the destroyed cave left about by the Japanese bombs thrown inside the caves. As a safety precaution, we even have to wear hard hats. This was really a nice experience since the guide told us more stories on how people managed to lived here during the war. The next day, we were supposed to catch the sunrise but unfortunately because of being so tired, we missed the opportunity to do so. It was scorching hot and we wanted to cool down. It was a choice between hitting the pool or the beach. We decided to hit the beach, I was surprised to see no one around because the beach area was decent, though it had rocky shore, the water was cool and clear. It was pretty nice to swim and lounge around the waters. Being in Corregidor felt like being part of history, I was stepping on the same grounds where soldiers fought for freedom and showed their love for their country. I enjoyed spending time here, not only did I have fun but more importantly I learned a lot. After hearing tragic, sad and triumphant stories, it made me appreciate more how we are living in a sovereign country, able to do what we want and ought to do. I've been often asked by foreigners and tourist on places they could visit in Manila, rather than pointing them to the malls, I always tell them to come here instead. I would strongly suggest for people to come here, the place is filled with so much history and character. You can visit: http://www.corregidorphilippines.com to check on available dates and rates for Corregidor.